I just wanted to share this little find. 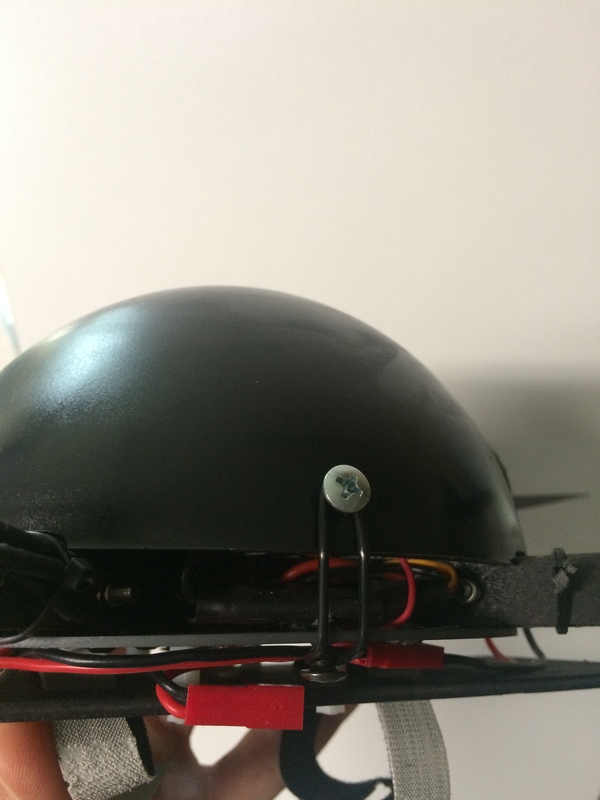 I recently built an angled arm racing quadcopter with the electrohub like Eric Monroe's in the Naze32 setup video and really wanted to get a dome to protect the flight control board like the one Eric used. I searched online and couldn't find one with the right dimensions or that was cost effective. Randomly, I noticed my kids had a tadpole habitat with a dome that looked to be around the right size and when I placed it on the quad it fit perfectly. I checked online and the domes are available for purchase and are sold separately for $2.50 with $1.95 shipping. I ordered 4 and they arrived in 2 days from Florida and fit great. Dome a weird pollywogs book pops up but I assure you it is the right dome. 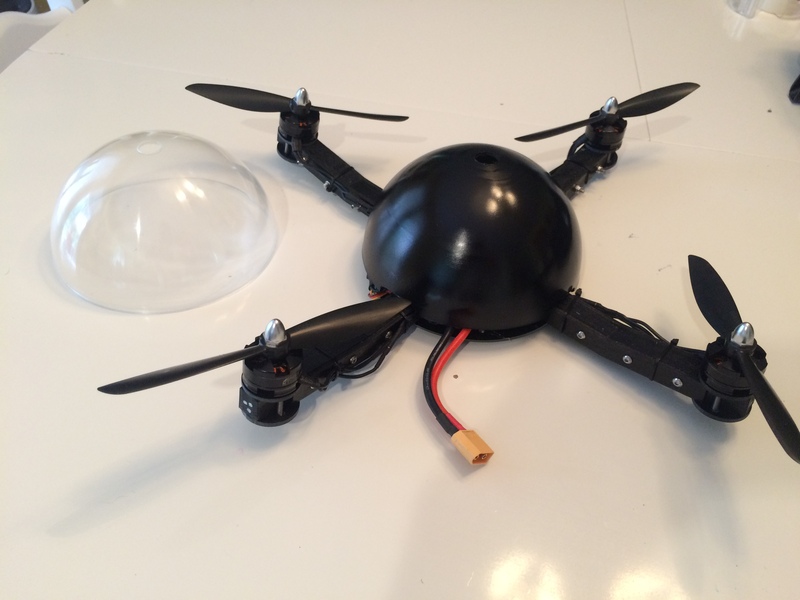 Here is what it looks like painted black on my quad and the way it comes in the mail - clear. Looks like a good option. 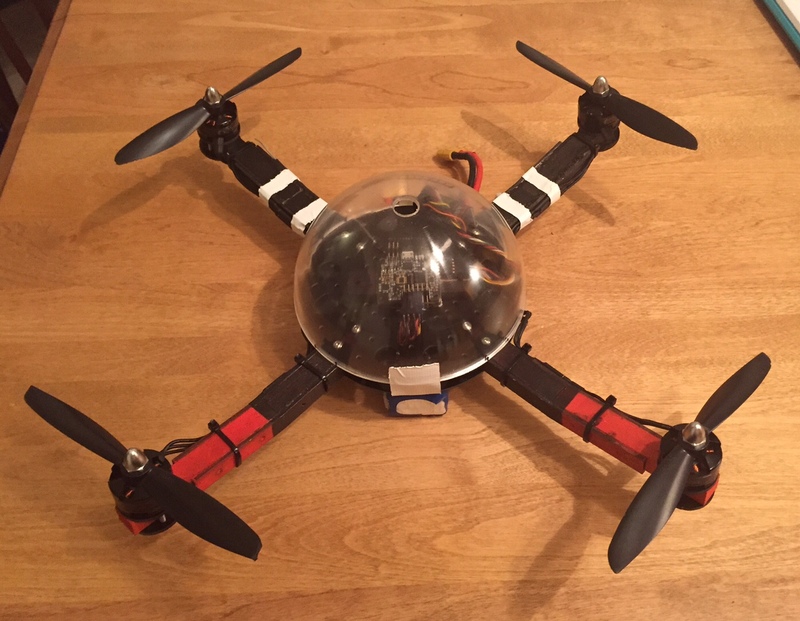 I just ordered one of these -- with two halves , at about the same price (with Amazon Prime)... can be had much cheaper when bought in larger quantities (not that I'd ever build a few dozen 'copters). That looks great! Very clean and well done. Are you planning to FPV it? I'd love to see how you'd set that up on there. I just built the same quad and love it. I was searching for a dome, too. Google found your thread for me. I started typing electrohub and it actually autocompleted by adding dome. Yes, please! Thanks for finding (and sharing) the perfect dome. I'll definitely be ordering one. That frog place is going to start wondering why everyone needs so many replacement domes for their frog habitat. Here's a link to my rendition of Eric's race quad. I named it the EMaaD. BTW - I'm sure Eric would approve of your blacked out wiring. How are you securing these to the quad? I'm curious, too. As I said in my other post, I just used 2 small pieces of duct tape. While not pretty, it did hold up to a crash already. I secured mine by drilling a small pilot hole in the dome on either side, 180 degrees from one another, and screwing in a small pan head screw into the dome and a corresponding one in the electrohub. 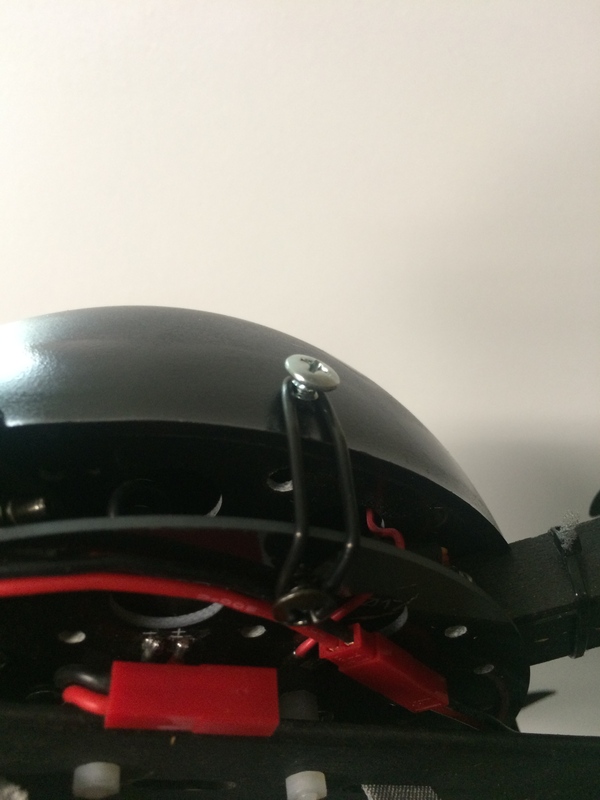 I used an O ring rubber band (or prop saver band works fine too) between the two screws and it holds the dome down and is easy to remove. See the photos.